One person's small act of compassion can start a chain reaction of kindness. Such is the story of a 16-year-old girl named Brittney James, who saw a commercial on TV and decided to sponsor a three-year-old Kenyan named Newton. Brittney hoped to one day meet Newton, but three years later she was found dead in her apartment at the age of 19. Her parents, whose lives were turned upside-down by her death, wanted to do something in her memory and so her father, Steve James, set out to meet Newton six months later. While in Kenya, Steve volunteered his time as a nurse anesthetist. After seeing how people were suffering, he thought he could do more. 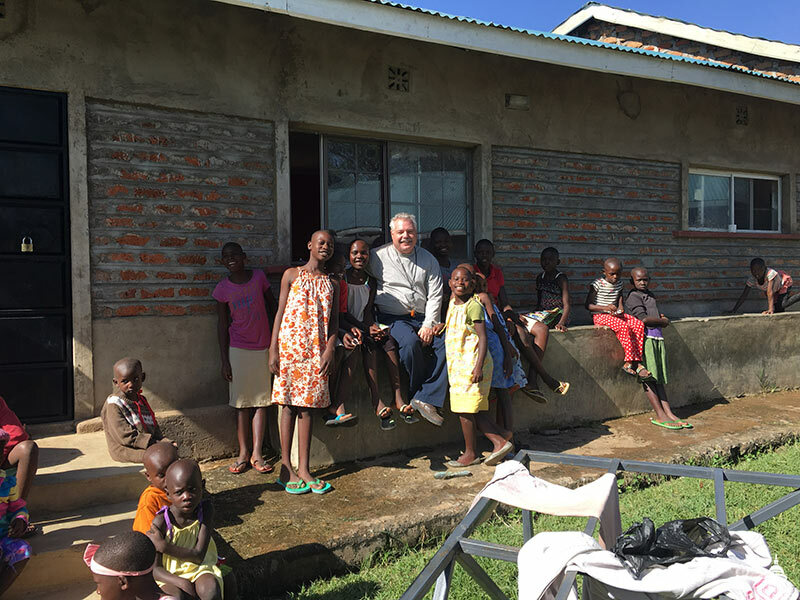 Steve came back to the U.S. and started KenyaRelief.org, a group which, for the last 15 years, has focused on providing physical, mental and emotional aid through its orphanage, school, health clinic and outpatient surgery center in Migori, Kenya. At the beginning of each year, an advance team travels to Migori to conduct repairs on the organization's buildings. Their work allows more than 20 teams of doctors and nurses to travel throughout the year to volunteer their time to perform surgeries for the residents of Migori, who would otherwise not have the opportunity to receive these services. Earlier this year, Bill Burns, an Architect of the Capitol Woodcrafter Supervisor in the Planning and Project Management's Construction Division, received a phone call from a co-worker asking if he would like to volunteer to go to Africa to help restore power and water for an orphanage. Bill who has lived in Pasadena, Maryland, his entire life said, "I had to consult with my wife, Mitzi, my high school sweetheart of 29 years, about leaving home for 12 days and the risk of traveling to a foreign country, but told him I would most likely go! It was an opportunity that in normal circumstances, I would never have accepted, but I am sure glad I did. I went to help children and that was it." Bill Burns poses with some of the guards that work for KenyaRelief. The trip included 20 hours of flying and 10 hours of driving, and even though the volunteers were well aware of the many 12-hour workdays ahead of them, they knew it would all be worth it after the children welcomed them with singing upon their arrival. Bill spent a lot of his time identifying issues for the other volunteers to repair, such as open junction boxes and a backup generator that had switching problems. He fixed playground equipment, traveled into town to forage for the supplies needed for repairs and helped design a new water control mechanism for their tanks. Steve James was extremely impressed with the people that came to volunteer their time to ensure systems would function properly for the year. "The level of expertise of the volunteers was a godsend," he exclaimed. Most of the work was just another day at the office for Bill, except on a completely different continent where everywhere he looked reminded him of how hard-working, but poor the people of Kenya are. While driving to Migori he saw people on the side of the road cutting brush, making bricks and completing other intensive chores that would earn them almost nothing, but there is very little opportunity to do anything else to make money. One day the group visited a family where the mother had died and the father could not afford childcare, so he could not work. The volunteers pooled their money and bought two goats for the family so that they could perhaps get milk or sell future offspring from the goats. Bill Burns visits with children from the orphanage. "I always say that life is a journey," Bill stated, "but little did I know how much this journey would change the way I look at things today. I made the same trip Steve James took when he went to meet Newton, and I felt the way he must have — that we have to help these children that lost their parents and are struggling to survive." 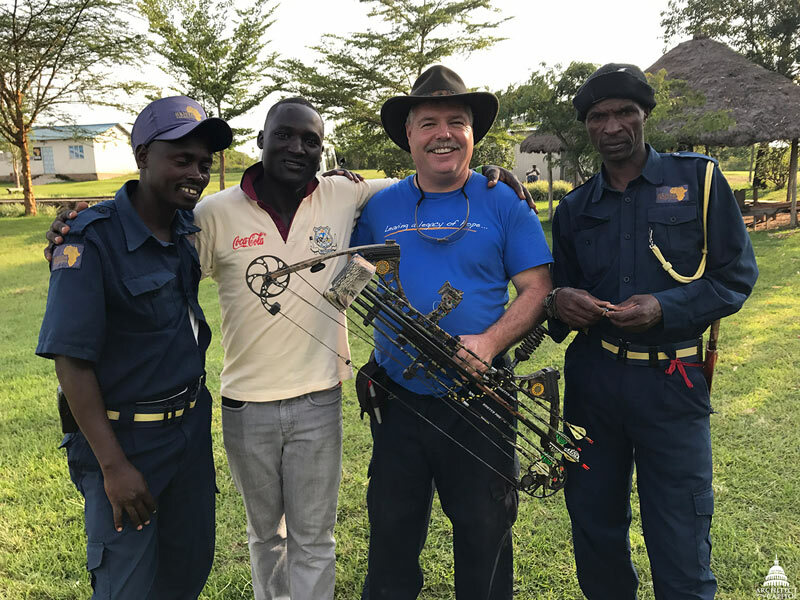 Although not everyone may get the opportunity to travel to Kenya to help, Bill believes that you don't have to travel as far as he did to brighten someone's life. "People can easily perform a random act of kindness for someone they don't know without expecting anything in return. The feeling you get from doing that is indescribable and contagious. I realized that it is the little things in life that are important. Wanting what you already have and being content in life is the true meaning of success." Steve James still visits Newton, now 18, about twice a year and also supported Newton's older sister through college. To Steve, Newton is probably a constant reminder of how the loss of his daughter is what brought him to Kenya, but also what brought KenyaRelief.org to Migori. When Brittney decided to sponsor Newton, she set out to try and make one person's life a little better. Despite her untimely passing, she started a series of compassionate events that continues to spread thanks to other compassionate people, like Bill Burns, that will go on to help numerous people in Kenya and across the globe. Priceless! Thank you for sharing and caring. Unexpected kindness is available to everyone as a sort of superpower -- bestowing a dopamine hit on all sides. I like to complement total strangers -- the dad at the coffee shop busy keeping his three young sons in line, or the older lady at the airport who looked smashing in her bold green shirt. Small things matter. Kindness doesn't need a reason. I am so glad you had this opportunity. I have lived overseas many years in different countries and it is an experience everyone should seek. It allows us to be thankful everyday and to appreciate life and want to help others even more than we would normally do. Thanks for sharing. Maybe others will be inspired to help a charity fulfill its mission. Life is wonderful. Thank you Mr. Burns for your care, support and kindness. Kindness is contagious! Way to step up Bill!